I love Christmas. I love the family, I love the gifts, I love the food, and I love the decorations. 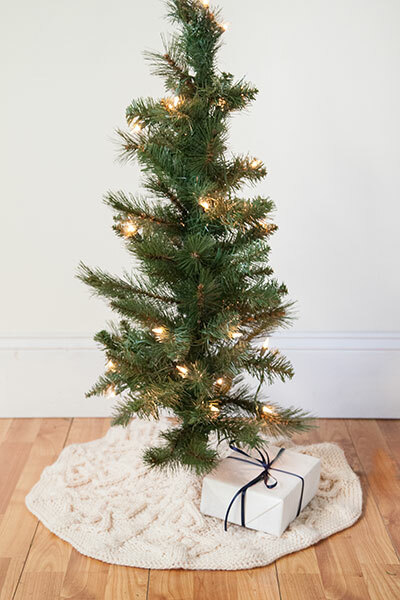 But, I’m not super-traditional when it comes to decking my halls. 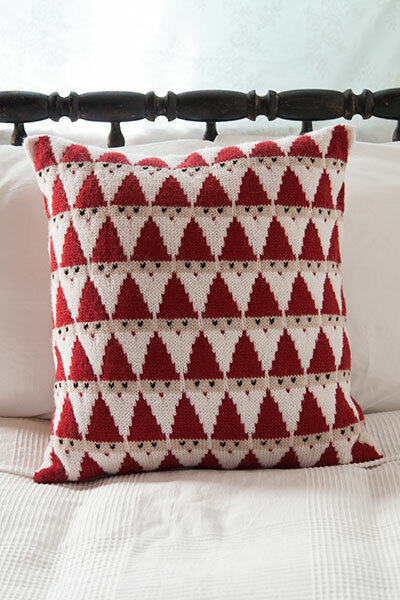 Red and green are a little passé, and Rudolph (and his red nose) are old hat. I’m a fan of sparkly tinsel and multicolor blinking lights. This stocking is just what I look for in a Christmas decoration. It’s festive, but not boring. Traditional…ish. I’ve picked a deep winey red and a pale seafoam green to my delightfully chubby stocking. Experiment with the colors to make one perfect for every member of your family! 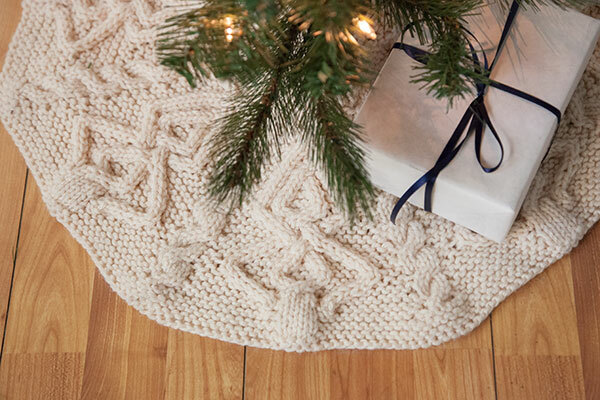 The Christmas Scallops Stocking is a simple, fast knit that you can work up in a weekend. It is knit from the top down, in the round, at a largish gauge. 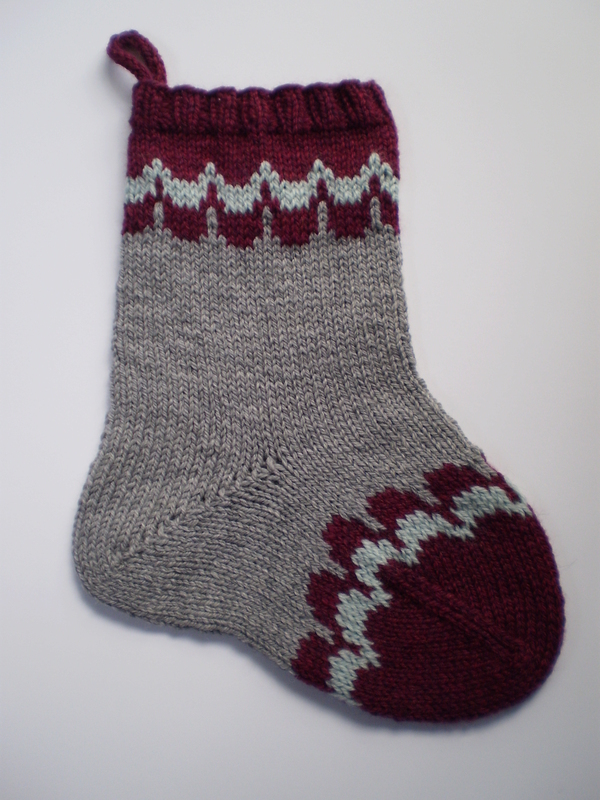 A few easy rows of Fair Isle creates the decorative colorwork at cuff and toe. 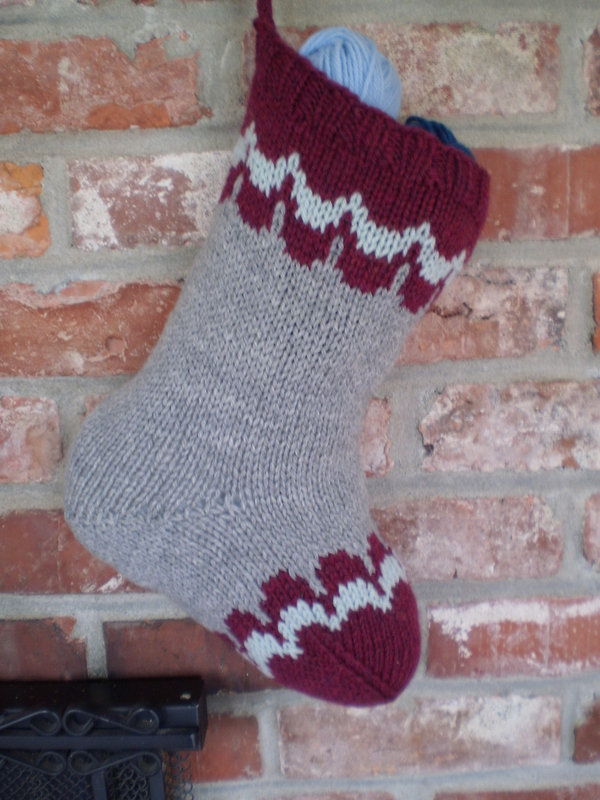 The heel is formed by a simple series of short rows in an easily memorized pattern. 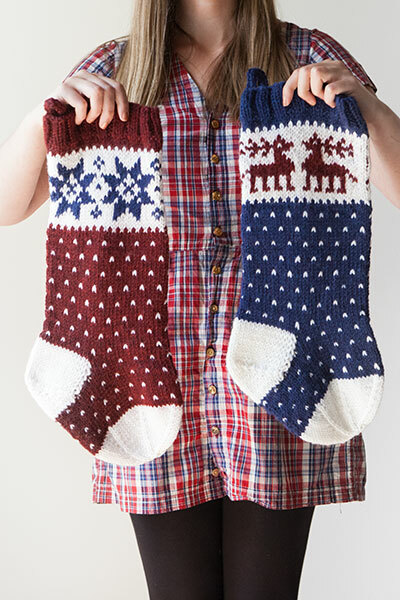 You’ll have plenty of time to finish these stockings before Santa arrives on Christmas Eve. 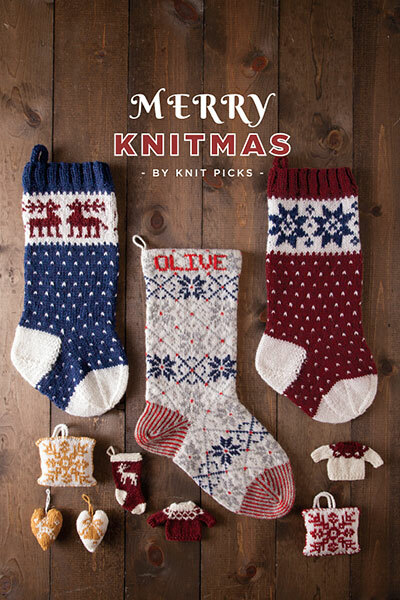 This entry was posted in Patterns and tagged christmas, christmas decoration, christmas gift, christmas stocking, decoration, fair isle, holliday, in the round, knit, knit in the round, scallop, scallop edge, sock, stocking on November 17, 2014 by onemilljellybeans.